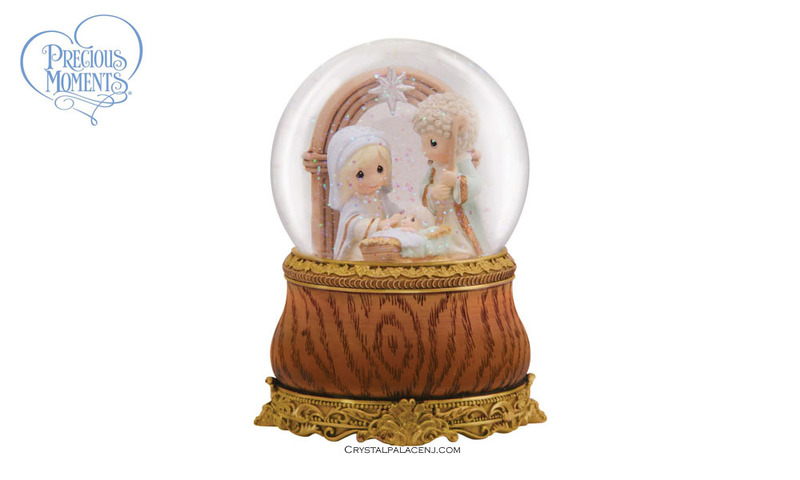 That most holy and wondrous night is portrayed with pure beauty within our elegant water globe. Uniquely designed to have the look of stained wood, it becomes an heirloom the instant you open the box. Plays "O Holy Night." Resin/Glass muscial water globe. 5 1/2" H.